Our 20' booth rental features our revolutionary Instand® Plus pop-up display, which is designed to save you time and money on expenses associated with traditional displays such as: drayage and set-up. 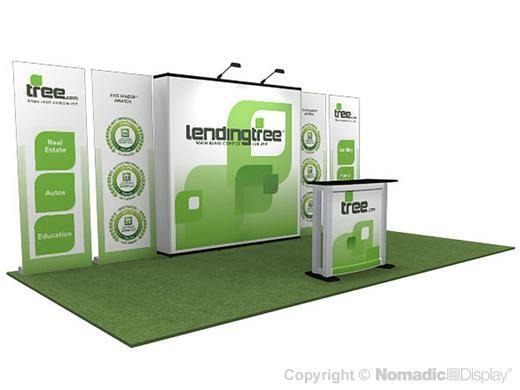 Enliven your brand with vibrant trade show booth graphics and prominently showcase products on display counters. 1 - 26" Buckhorn Tub - 26" x 58" x 49"